Having shot weddings for over a decade from all religions and cultural backgrounds, we’ve seen just about every type wedding itineraries imaginable. From 24 hour long weddings to 30 minute receptions we have seen it all. We have covered weddings where the couples have created spreadsheets after spreadsheets and have planned the day to the Nano second (then did not follow the itinerary), to couples who have just gone with the flow and it all just worked out, and at times the itinerary of the day has been left completely to us. Although we do not mind running your day, a well-planned itinerary will ensure that the day runs smoothly. However a set itinerary can often work against the photographer. Not allowing enough time to set up or even capture certain events, which could cost a client some great photographic opportunities and can be detrimental to the wedding album story. This article is in no means dictating how you should plan your wedding day, also as we cover weddings from all different cultures some of the advice here may not be applicable to all weddings. Hopefully this article will help you think about your day from the photographer’s perspective and create a wedding day itinerary that will allow your photographer to create and capture some amazing images that he or she may have missed without the extra planning. Often couples reduce the hours of coverage in order to reduce the cost of photography, it is important to discuss your event with the photographer to work out the logistics of your event and what you would like captured, then ensure that you book sufficient hours. The best way to think about your day is to break down your day into mini stories. 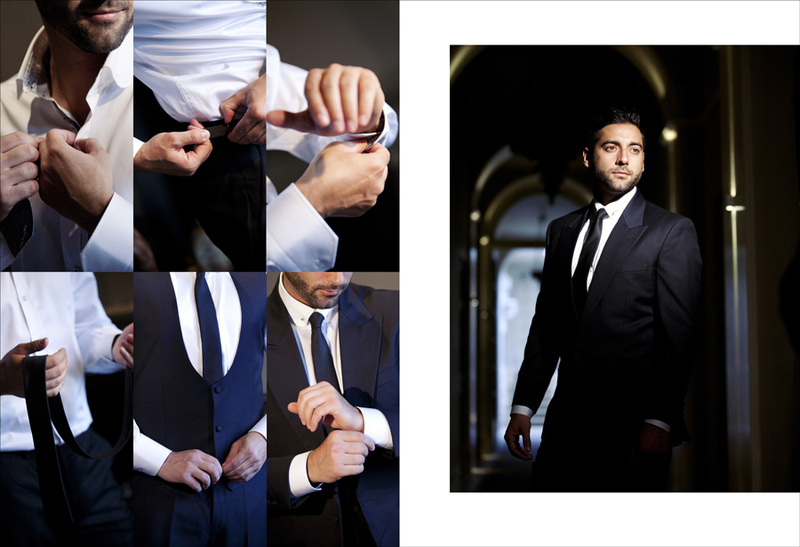 To help you visualise, if you imagine your wedding day as spreads of an album, an album will most likely have few pages at the beginning dedicated to bridal portraiture, a page dedicated for Bride and Bridesmaids, Bride and Family, then the Groom solo shots, Groom and Ushers, Groom and Family etc. To ensure that you’re Photographer can capture sufficient bridal portraits with a creative twist allow a minimum of 1.5 hours for the bride’s side and 1.5 hours for the groom’s side. 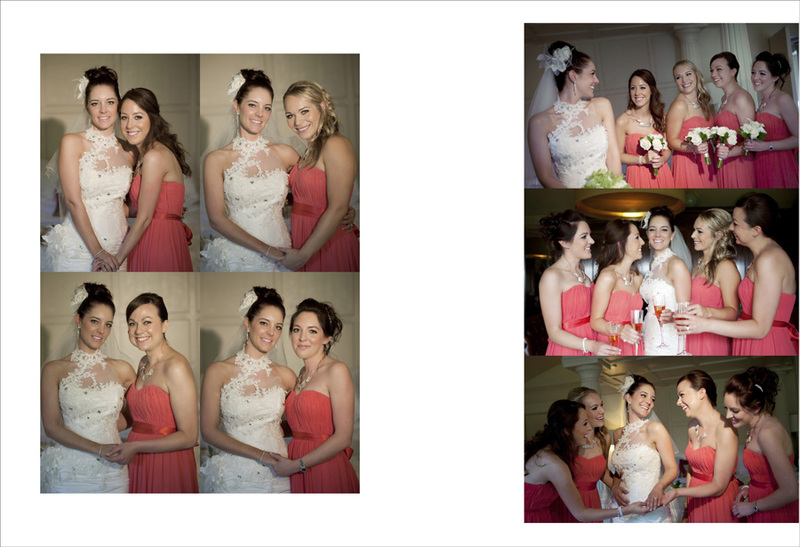 The photographer can spend the first hour with the bride and then the rest for bridesmaids and family. The ideal scenario will be where the bride and groom are getting ready at the venue, the photographer can spend the first 1.5 hours with the bridal party then spend 1.5 hours with the groom, ushers and the Family. To ensure that this time is used productively the bride, bridesmaids and family should be 95% ready when the photographer arrives, this way the photographer can capture the finishing touches and then focus on shots when everyone is fully ready. Often we arrive at the brides location and find that the bride is nowhere near ready and spend the time allocated waiting for the makeup to be completed and bride to be dressed, which results in a last minute rush to cram in all the photos which should have been captured over 1.5 hours into 5 minutes. You will need to plan and adjust the time with your makeup artist so that the makeup time does not overlap the photographer’s time. If this happens on your wedding day you will have to accept that you have destroyed the first 2-4 spreads of your album. If the bride and groom are in different locations you will either need 2 photographers one at each location or you will have to allow time for travel between the locations for the main photographer. This travel time is in addition to the allocated times for bride and groom shots. Consider where the photographer will park their car, if the photographer arrives at the grooms location after the bridal shots they will be under time constraint to get to the grooms location take out all the kit and start shooting, if they now have to park a mile away this may delay the running order of the day. This also applies when they arrive at the next location or in some cases such as a Sikh wedding, where we may start at the brides house, then go to the Gurdwara, then to a Reception Venue from there to the brides house and then to the grooms house. Ensuring that your photographer has parking on all these locations will ensure there are no delays to your event and more importantly this will eliminate the chances of missing crucial shots. Décor will most likely consume a huge portion of your wedding budget, you may have spent countless hours designing your table plan, favours, colour coordinated and themed your wedding. Photographers need time to capture these details, if a photographer is required to travel to a reception venue after a religious ceremony or from the bride’s house, the photographer needs to park the car, take out all the equipment, get to the hall before guests entre and have the time to capture all the details. This the area in which most itinerary’s fail as they do not consider that multiple factors play a part in this. First of all the photographer needs to arrive before guest entre the hall. Second the décor setup needs to be complete, so that the photographer can capture the grand shots of the venue without any guests, the photographer needs at least half hour for the décor shots and that’s after the décor is fully completed. 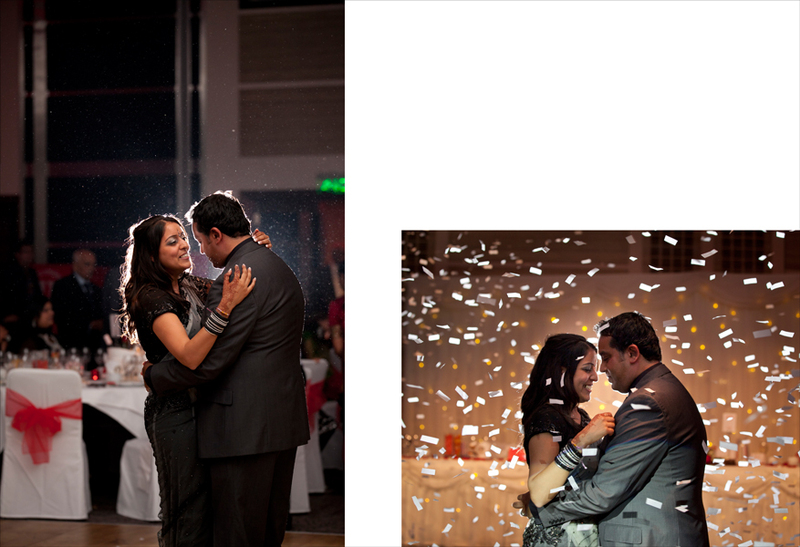 To make this work a calibration between the couple, the venue and the decorators needs to come together. The venue may need to allow decorators to entre earlier to start setting up, the decorators need to ensure that the venue is ready and complete to be photographed and the couple need to ensure that guests do not entre until the photographers have taken décor shots. We at X-quisite have covered Civil Weddings, Hindu Gujarati Weddings, Hindu Punjabi Weddings, Sikh Weddings, Muslim Pakistan Weddings, Muslim Gujarati Weddings, Muslim Bengali Weddings, Afghan Weddings, Moroccan Weddings, Iranian Weddings and various other Asian and Indian weddings ceremonies. Although we capture ceremonies unobtrusively it is always recommended to inform the Photographer or Videographer if you are doing something out of the norm. You may have a special person conducting the ceremony, the venue where your civil ceremony is taking place may not allow photography during the ceremony. Your Nikkah Ceremony may be conducted in 2 separate locations. To avoid the missing anything you must keep the Photographers and Videographers informed. A wedding is not a wedding until you take the traditional group shots. Most couples dread this part of the wedding, and for most photographers it’s the bane of their lives. It doesn’t have to be! If you plan it well. Most group shot sessions go wrong and drag on for few simple reasons, first is poor planning, which means no group shot list to begin with, you just try to wing it on the day. Second is not allowing sufficient time for each shot, you will need to allocate at least 3 minutes per shot provided you have allocated a helper from each side to assemble these groups ready for the group shots. The third is that you may have a detailed group shot list and have allocated a family member from each side to assemble the families, but you have forgotten to tell the people who are going to be in these groups, that they will be required to be present at a specific time for their shot. Just one person not present at the time of the group shot, maybe they have gone to the loo, or decided to go out for a cigarette can delay the whole session. When creating a group shot list you should also consider where these images will end up, not all shots will make it to the album, your wedding album should only include your immediate family, that’s your respective grandparents, parents and siblings, you should consider how you would like these grouped, for example if you have lots of brothers and sisters and they are married with kids, you should have a photo with their wife and kids in addition to the large photo of your immediate family. 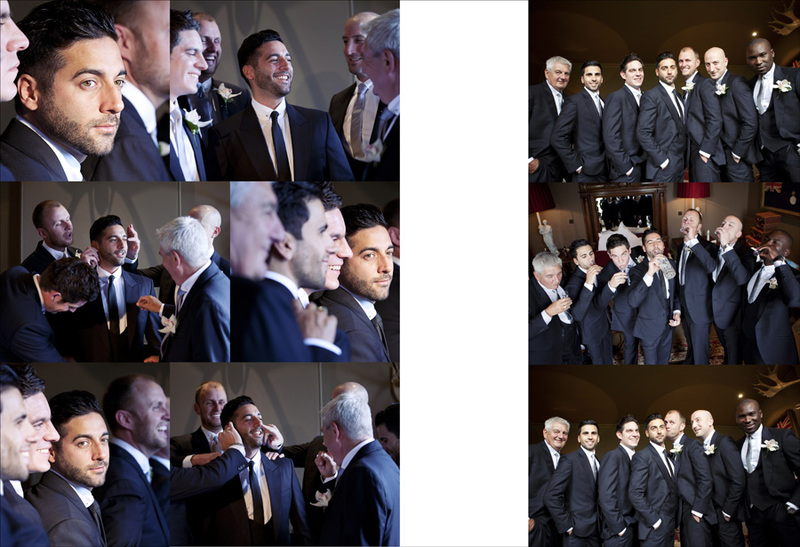 However if you have lots of uncles and aunties you need to consider if you want a photo with every uncle separately with their families or one shot with all your uncles and aunties together which will save you time. The most important shots are couple with bride side, couple with groom side and the couple with bride and groom side, these are immediate family only and should be the first 3 shots on the list. 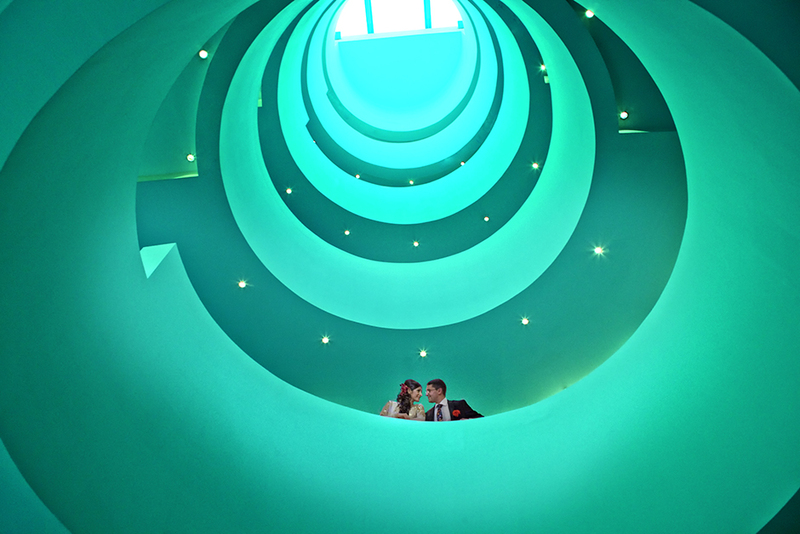 Time allocated for couple shots is by far the most important part of the wedding from a photographer’s perspective. Images captured in the couple session form the backbone of the album and will also be the highlight of the album. Yet it’s the area where all couples compromise on when their event runs late. If you reduce the time of the couple session it is like you are ripping out the most beautiful spreads of your album, after all a wedding is a celebration a an union of a couple. If there are no couple shots then what’s the point. The minimum time required is an hour, however the more time you allocate the more couple shots you will get, ideally you need to allocate couple of hours if possible. You will need to consider when and where your couple session will take place, is it indoors or outdoors? If its outdoors do you need to travel there? If yes have you arranged the wedding car to take you there? Will it be daylight at the time of your shoot? All these factors affect the outcome of your couple shots. The minimum hour required is in addition to the travel times. Your couple session should also be uninterrupted, so that family members are not coming to you asking for your decision on what’s happening next, or expect you to organise something or take a phone call etc. these are all distractions which will result in loss of time. Couples with multiple functions such as wedding, receptions and civil ceremony’s need to arrange time for couple shots on all events. Civil ceremonies are great opportunities for couples, why not go to a location for a shoot after the ceremony specially if your reception is on a separate day, you will not be restricted to time. 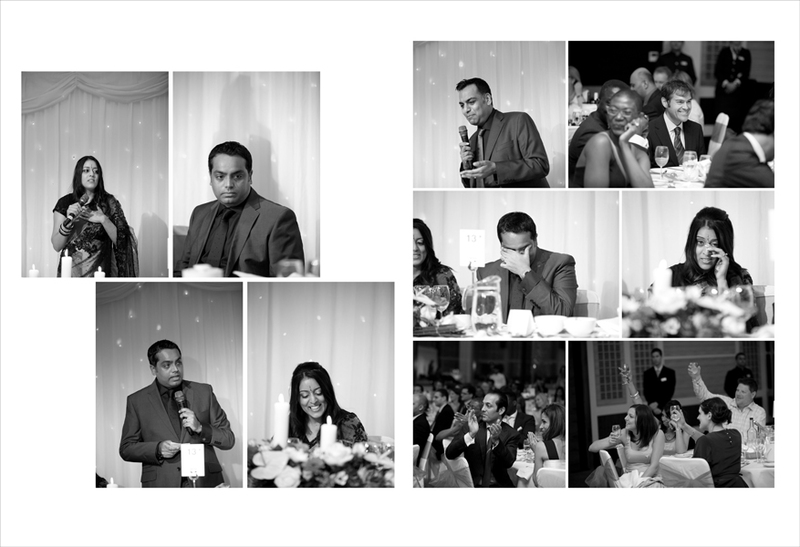 Sometimes photographers can be caught out and miss the opportunity of capturing amazing reaction shots during speeches especially if your venue is tightly packed and there is not much space between tables for the photographer to move around. Inform the photographer of the content of your speeches, the individuals you will be addressing or mentioning in your speeches and any surprises so that the Photographers or Videographers can pre-empt a reaction and be in good position to capture it. Have you pre rehearsed the first dance? Will there be confetti bombs, indoor fireworks etc. during your first dance? Photographers and Videographers need to be informed so that they can be prepared and in the right position to capture the best shots. When you are creating your itinerary you will need to think about many aspects of the day amongst the points mentioned above. Looking at weddings form the photographers perspective will enable you to give your photographer the opportunities and the time to capture timeless memories which will stay with your forever.